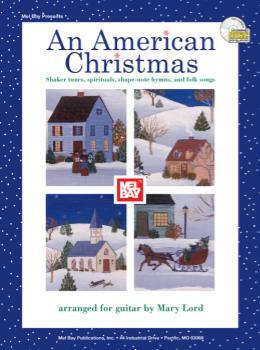 An American Christmas includes carols from the very rich Shaker, spiritual, shape-note and folk song traditions of the United States. They have been set as solo versions for the beginning to intermediate guitarist, who has been playing for about a year and would like to spread Christmas cheer using the guitar. The book is in standard notation as well as tablature. Chords are also included for accompaniment purposes, as are the lyrics and a CD recorded by the author. This is a collection of carols that will be appreciated by players of classical guitar and other styles as well, and that players can return to year after year as the Christmas season comes around. The collection can provide literature for guitarists who are looking for background music to play at Christmas parties, and for students playing in Christmas recitals.